The quadrennial tournament event always arrives in high profile and triggers a chain reaction as well, with every World Cup related thing driven to a fever pitch, like the FIFA World Cup theme song, to name just a few. 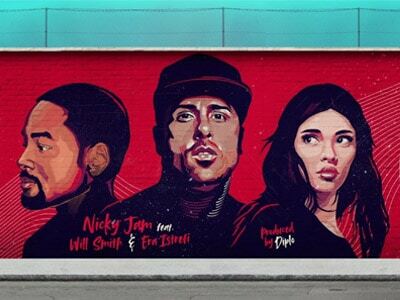 So to help football fans capture the feeling of the globe-hopping sport, we've singled out the historic World Cup anthems of all time and share you a free way to download FIFA World Cup 2018 theme song video like Jason Derulo's Colors, Live It Up by Will Smith, as well as other official WC songs dated back to 1962 with a free YouTube downloader. These historic World Cup anthems listed below are mostly using English and Spanish. But music has no boundary. Even the songs about FIFA World Cup are not the ones you can understand, they will surely strike a chord. The abovementioned FIFA songs, not only the official ones but also other unofficial songs like La La La, Wavin' Flag, etc, definitely deserve our lifetime collection. So except for the way to spend around $10 on the expensive CD of each official album regarding to the FIFA World Cup or pay a good deal of money to Google Play or iTunes to save the FIFA World Cup theme song videos, there is still a great way keep your beloved WC songs on your hard drive without costing a dime, that is to free download FIFA World Cup theme song videos with a free software called MacX YouTube Downloader. This software can help you download any FIFA WC theme song videos like 2018 World Cup theme song Colors by Jason Derulo on Windows and Mac. Besides offering the perfect solution to get FIFA world cup 2018, 2014 of all time theme songs, it also demonstrates you a non-defective performance to free download unofficial World Cup song videos, such as Colors, Live It Up, All Of The Pain, Monkey Bu$iness, SuperStars, The World Is Ours, Todo Mundo, We Are The Champions, Oh Africa, etc in 30 seconds only with high quality. You are free to save World Cup 2018, of all time theme song videos MP4 HD, MP3 songs from YouTube, SoundCloud etc. Find the official WC music video on YouTube and free download MacX YouTube Downloader on your Mac or PC. Run and install the free World Cup theme song downloader. Copy and paste the URL of the WC music video. Click "analyze" to load the song. Choose video format, resolution and file size you want. Easily save World Cup theme song in FLV, MP4, WebM formats. Specify output folder on your computer to save the output files. Click "Download Now" to start the greatest 2018 FIFA World Cup song free download process. It can also used to download 2018 World Cup videos, highlights, clips etc. Warm Prompt: People usually need some on-the-go enjoyment of these WC songs for one or two reasons. And MacX Video Converter Pro is the way to go. It is designed to download and convert FIFA World Cup theme song YouTube videos to MP3, MP4, AVI, MOV, WMV, etc and transfer the music videos and even World Cup matches to mobile devices for you to play them on iPhone X/8/7/6s/6/6 Plus/5S/5C, iPad Air, Android Samsung Galaxy S8/7/6, HTC, Google New Nexus, Surface Pro 4, etc on the move with top quality. Notice: we don't advocate any illegal World Cup songs download and copy for commercial use without the permission of copyright owners. 5. List of best official songs for FIFA World Cup from 1998 to 2014. Recently added - Top 1 Colors: Coca-Cola selected Colors by Jason Derulo as the official song of the 2018 Russia World Cup. "Now, now, now, now, there's beauty in our unity we've found. I'm ready, I'm ready. We still got a lil way…" Dropped on on March 9, 2018, the World Cup theme song Colors is a catchy song, expressing the excitement with the arrival of the big event. 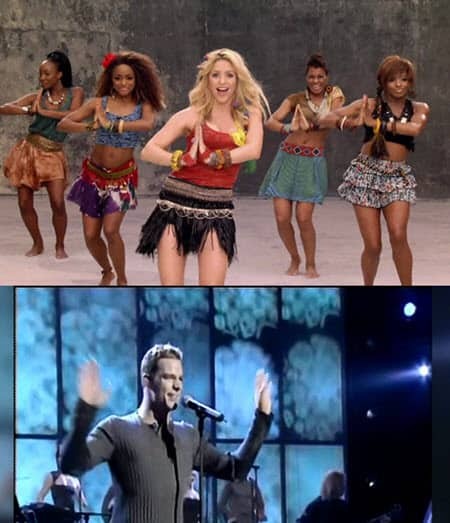 Top 2 Waka Waka: The official song of the 2010 South Africa World Cup by Shakira featuring Freshlyground. It is the eighth most watched music video on YouTube with over 670 millions views on YouTube and is the best-selling World Cup anthem with 10 million digital copies sold worldwide. So the official 2010 World Cup theme song really deserves downloads for indulging in the football fever. Top 3 We Are One (Ole Ola): The song performed by Pitbull together with Jennifer Lopez & Claudia Leitte is the theme song for the 20th FIFA World Cup taking place in Brazil. As it is the theme song for the year 2014 WC, it rest assured makes a big splash, accumulating nearly 80 million views on YouTube, even though it is released 3 weeks ago. So it is destined to be the most memorable and captivatingly brilliant World Cup-related song and worth to join our FIFA World Cup 2014 theme song download list. Free download (2018) FIFA World Cup football ringtones MP3, AAC, AC3, FLAC etc. from SoundCloud, Audiomac and more for iPhone, Android, Windows phones. Have a review on the FIFA World Cup's greatest highlights and moments to warm-up the 2018 Russia FIFA World Cup. Free download FIFA world cup highlights videos to device if you need to watch on the metro or road. Here's how to stream 2018 FIFA World Cup Brazil videos to iPhone iPad. We enlist all the best World Cup streaming app for iPhone iPad here. Feel free to use theme. 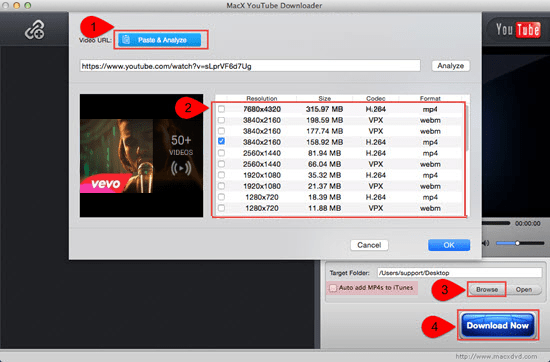 MacX YouTube Downloader is an all-around free video downloader with high quality and incredibly fast speed. It provides superfast solution to download World Cup song videos.